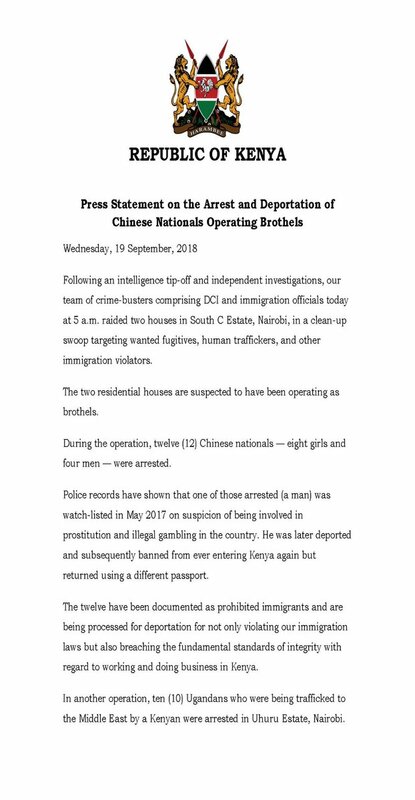 The Directorate of Criminal Investigations nabbed a group of 15 Chinese citizens who were operating a brothel in South C. The 15 were then processed for deportation for being in the country illegally and failing to hold the integrity required of them by operating an illegal business in Kenya. One of the 15 Chinese citizens had earlier been deported for engaging in prostitution and operating illegal gambling premises in some areas of the city. He later used a different passport to enter the country again. The government has increased its crackdown on aliens living in Kenya without proper documents required to live here. Many citizens of Nigeria, Ghana and Cameroon have intensified their scamming activities in the country. The Nigerians and Ghanaians mostly live in Roysambu and Donholm estates in Nairobi from where they sell drugs and lure campus students into drug trafficking. Quite a huge number of Kenyans are serving time in foreign jails after being caught in the act of transporting drugs in different airports across the world. Cabinet Secretary for Interior and Coordination Dr Fred Matiang'i has warned Kenyans against getting involved with aliens whose presence in Kenya is not documented as required by the government as required. 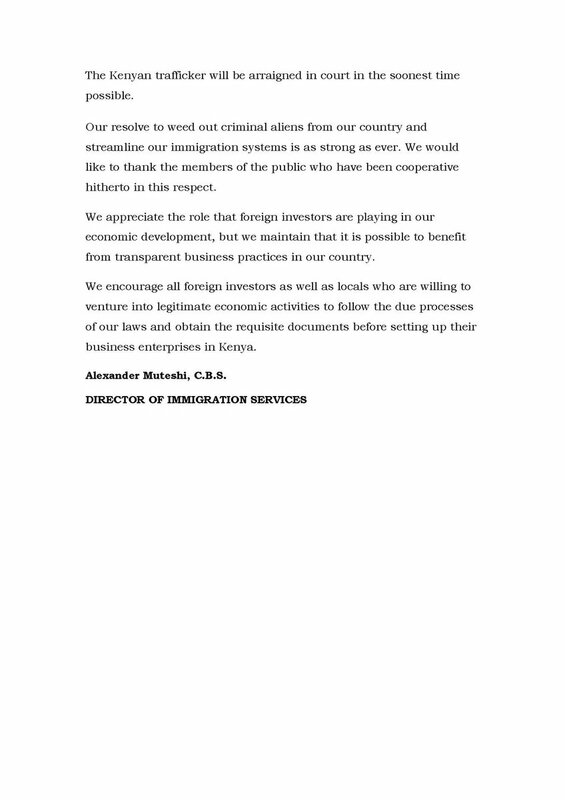 Here is a statement from the immigration department.